A group of friends staying at an old cottage in North Wales on vacation decided to go for a walk on the spur of the moment one morning and eventually found a nice old pub where they thought that they might have lunch. 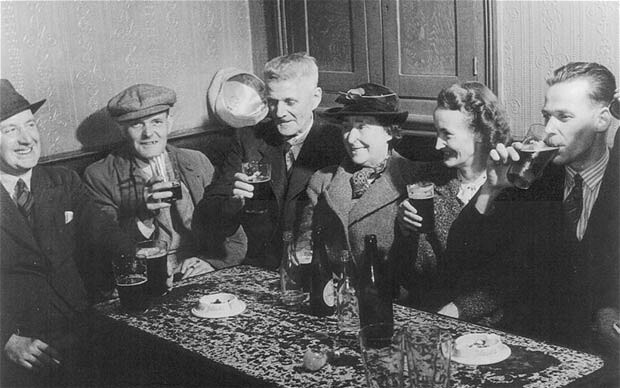 When they went into the pub, they found a group of their friends sitting there waiting for them. Of course, they were very puzzled as to how that could be since the stop at the pub had been a spur of the moment decision and certainly not pre-planned. “Ah, well we called the cottage and the nice old lady who answered told us you would be here,” explained the waiting group of friends. Fine, except there was no old lady at the cottage; not a cleaner, not a cook, no one, and certainly no one who could possibly have known that they would decide to visit that pub at that time as that had been a spur of the moment decision. Extracted from Ghosts In The Machines by G. Michael Vasey. Do you have a strange supernatural experience? Share it with us. Home » Your True Encounters » January 2016 » They Know You Know!